It’s not often that one of my kids lays down some adolescent humor on the home front that I hadn’t already heard 30 years ago, when I was their age. Generally such attempts weren’t particularly funny when I was in junior high school, and are even less so now. Unlike cheese, lousy humor doesn’t age well. I think that’s hilarious. Still wondering just why but it makes me smile. This rare score by my youngsters brought to mind one of my favorite childhood memories. I was in junior high school, and had just stumbled on the greatest joke of all time, which I needed to share immediately with my dad. I’m in Paris about eight years ago with my wife on a business trip. Naturally we’re going to see the sights (or is it sites?). I’m stoked to visit the Louvre for one fundamental reason: the Mona Lisa by Da Vinci. I make my way to the room with a mass of people, try to get close enough to take a decent picture. I find a fairly smallish painting of the mysterious quasi-smiling lady behind what is clearly bullet-proof glass. I’m standing there absolutely soaking it up! In my mind I’m saying, “I am standing in the Louvre museum in Paris, and that is the actual Mona Lisa by Leonardo Da Vinci!” One of the euphoric highlights of my life. For about 15 seconds. I turn and look at the man, incredulous. My mind is now processing several threads of thought at approximately the same time: 1) Have I just seen the real Mona Lisa or not? 2) Why on earth did this man have to stroll up to me at this moment and say that to his son? 3) What kind of man would take his son all the way from America to the Louvre museum in Paris and tell him that this Mona Lisa isn’t real? 4) How can this man possibly know anything about the real Mona Lisa in the first place?! 5) Can I possibly inflict some sort of bodily injury upon this man without eliciting a hostile response from the ample security detail surrounding the Mona Lisa? 6) Why do I even consider the possibility that this guy might be telling the truth instead of dismissing it out of hand?! Over several years of pondering, I have arrived at the following answers: 1) Probably. 2) Fate. 3) A clueless one. 4) He probably can’t. 5) Not inside the building. 6) Gullible personality I guess. 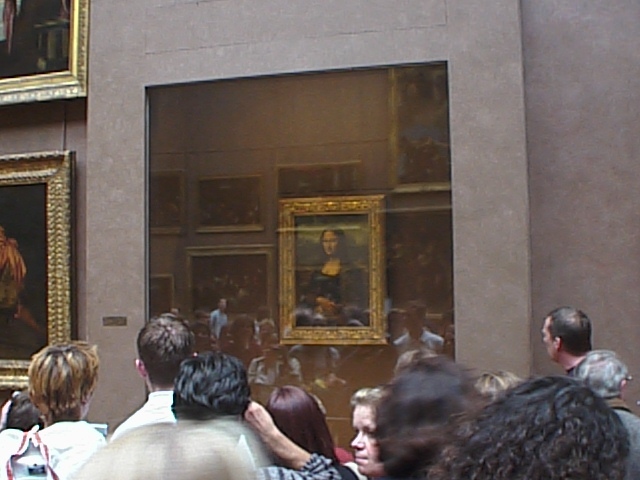 I have therefore concluded that I probably did, in fact, see the actual Mona Lisa behind bullet-proof plexiglass with a crowd of people in the Louvre eight years ago. About five years later, when I visited Paris with my second daughter Brooke, a high school senior at the time, we stood in the same room before the same fairly smallish painting of the mysterious quasi-smiling lady behind what is clearly bullet-proof glass. I said to Brooke, “Can you believe it?! The actual Mona Lisa!” She smiled, clearly experiencing a euphoric moment. I looked around furtively in the off chance that some clueless American would force an end to our reverie. No such misfortune this time. We were safe in our moment of awe. So my daughter got to go to Paris, inside the Louvre, and stand before Da Vinci’s Mona Lisa. System and method for wireless data transfer for a mobile unit, patent No. 7,236,742, invented by Eric S. Hall of Provo, David K. Vawdrey of South Jordan, and Charles D. Knutson of Salem, assigned to Brigham Young University of Provo. Congratulations are especially in order for Eric and Dave. They did most of the real work and deserve most of the credit. In case any recruiters come across this posting while googling for Eric and Dave, Eric Hall is a Ph.D. student in Biomedical Informatics at the University of Utah. David Vawdrey recently received his Ph.D. in Biomedical Informatics from the University of Utah, and is heading off to his first faculty position at Columbia University in New York City. They both did their M.S. in Computer Science in the Mobile Computing Lab at BYU under my tutelage. Hiring either of these guys would be the smartest HR move your organization ever made. The last URL I’ll ever need? Just a heads up to my loyal readership. The blog has moved for the very last time (I hope)! I’ve acquired a suite of domain names remarkably well-suited to myself: charlesknutson.net/.org/.com. The default plan is for www.charlesknutson.net to be the permanent home of the blog from now until I either retire or die (whichever comes first). If I am again splogged with corruption, or in any other way compromised, I will clean off and press forward, but at least I won’t drag the good name of my university through the muck and mire next time. If you have bookmarked either of the two former URLs, please redirect those to the new address. I’ll still have those former URLs redirect traffic over here just in case. Okay, so this has absolutely nothing to do with anything related to anything this blog is supposed to be remotely about. 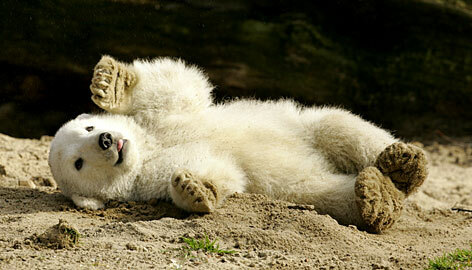 The new cuddly baby polar bear at the Berlin Zoo has been dubbed “cute Knut” by the German media. It’s now just a matter of time before one or all of my children come home from school bearing (as it were) tales of a new nickname. Granted, there’s not a lot else you can do with “Knutson,” other than simply mangle and mispronounce it. 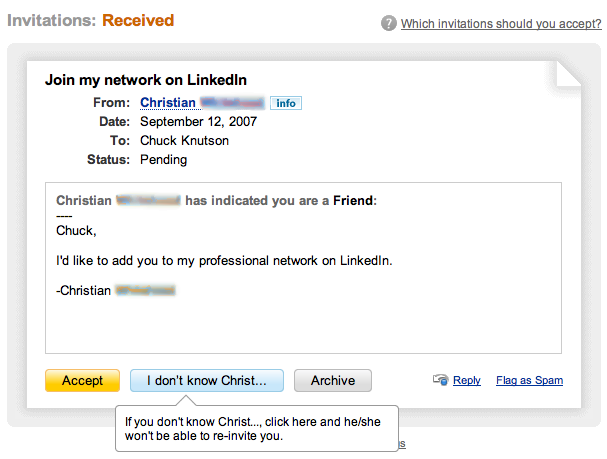 I regularly get phone calls for “Charles Nutson” and it helps me to know that it’s nobody I know. In my young married years I would provide “Knutson” when waiting for a table at a restaurant, until one night at the Space Needle in Seattle a hostess hollered out, “Contusion? !” “Contusion? !” Everyone looked around for the idiot named after a bruise, and I stood up against my better judgment. It was that or lose the table. 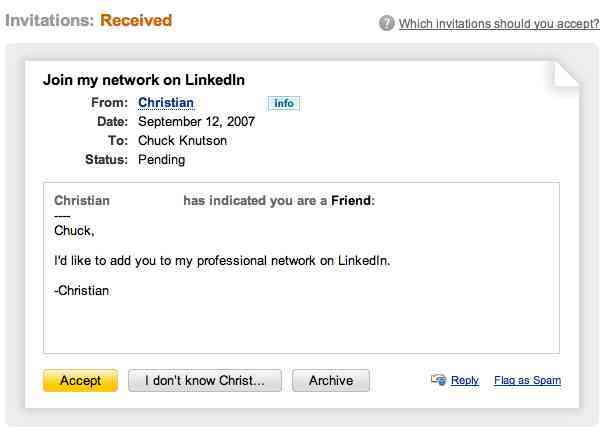 After that it was always just “Chuck,” thank you very much. But now my kids (and me too, I suppose) get to be “cute Knut” thanks to the bear and the Germans.